Everyone struggles with problems that seem too big to handle. 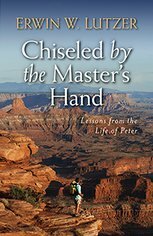 But conflicts are really opportunities for us to learn how to rely more faithfully on God. 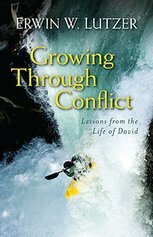 In Growing Through Conflict, Dr. Erwin W. Lutzer teaches us how to benefit from our conflicts by imitating David's successes and avoiding his failures. 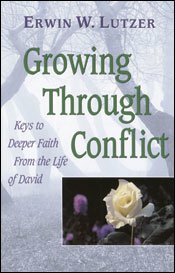 If you experience giant-sized conflicts such as difficult relationships, unresolved grief, doubts about faith, or illicit sexual desires, let David show you how to cut them down to size, just as he defeated Goliath.